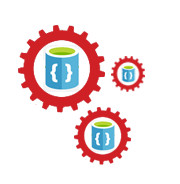 Microsoft’s newest NoSQL document database platform that run on Azure is DocumentDB. DocumentDB is designed keeping in mind the requirements of managing data for latest applications. The knowledge of Structured Query Language (SQL) is used to get acquainted with how to query DocumentDB. The basics of DocumentDB and there are no prerequisites. It will help you to have some prior exposure to NoSQL technologies.